Congratulations to Mike Shaide and Tom Harris!! work of Rotary in the world. Thank you for this unselfish act. Mike recieved his second PHF and Tom his sixth. These by-laws, representing the inclusion and updating from the original by-laws dated 1994, replaces the original document. References in this document to “the club” are specific to the Menomonie Sunrise Rotary Club. Section 2 - Nominations and Elections. A.At a regular club meeting in December, the presiding officer shall ask for nominations by members of the club for President-Elect, Secretary. and Treasurer. B.The nominations may be presented by a nominating committee or by members from the floor. The nominations duly made, if more than one, shall be placed on a ballot in alphabetical order under each office and shall be voted for at the annual meeting. The candidates receiving a majority of the votes shall be declared elected to their respective offices. The officers elected in such balloting shall serve as a member of the Board of Directors commencing on the first day of July next following the election, and shall assume office on the first day of July. C.If no more than one person is nominated for and/or accepts any position, no election needs to be held and the nominee is considered elected to that position. 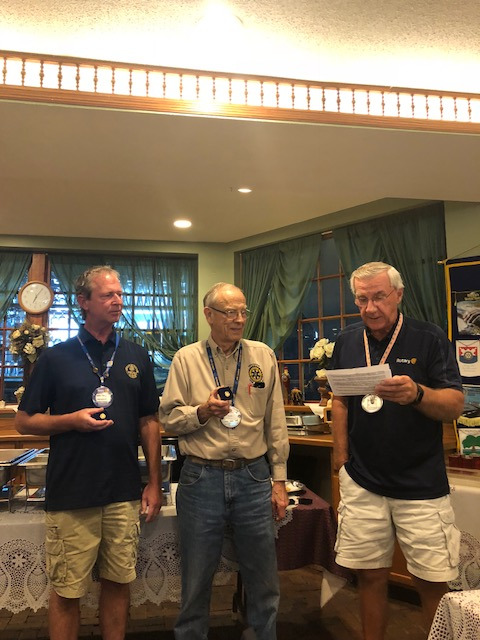 D.Committee Chairpersons are elected for one year at the committee’s first meeting in July by the members of that committee, and serve as a member of the Board of Directors for that Rotary Year. E.The President-Elect serves as President following the term of the current President. Section 3 – Vacancies. A vacancy in the Board of Directors or any office shall be filled by action of the remaining members of the Board. Section 1 – President. It shall be the duty of the President to preside at meetings of the club and Board of Directors, and to perform such other duties as ordinarily pertains to this office. The President is a member of the Board’s Executive Committee. It shall be the duty of the President-Elect to serve as a member of the Board of Directors of the club and the Board’s Executive Committee, and to perform such other duties as may be prescribed by the President or Board of Directors. The President-Elect will attend PETS; chair the Membership Subcommittee and take responsibility for the recruitment, retention, and orientation program following the orientation policy of the club; and preside over meetings of the club in the absence of the President. Section 3 – Past President. It shall be the duty of the Past-President to preside at meetings of the club and the Board of Directors in the absence of the President and the President-Elect; to serve as a member of the Board of Directors and the Board’s Executive Committee; to Chair the Subcommittee on RotaryFest; and to perform other duties as requested by the President or Board of Directors. Section 4 – Secretary. It shall be the duty of the Secretary to keep the records of membership, record the attendance at meetings, send out notices of meeting of the club and committees; record and preserve the minutes of such meetings; provide the monthly report of attendance of the club to the District Governor within 15 days following the last meeting of the month; and perform other duties as usually pertain to the office of Secretary. The Secretary serves as a member of the Board of Directors and the Board’s Executive Committee. Section 5 – Treasurer. It shall be the duty of the Treasurer to have custody of all funds, accounting for same to the club at meetings, and to perform such duties as pertain to his office. The Treasurer invoices members four times a year for dues; pays for all the meals; pays for all club invoices authorized; makes the required reports to Rotary International, including the monthly reports of membership, which shall include per capita dues for all members and prorated dues for active members who have been elected to membership in the club; reports changes in membership; andcollects and remits RI official magazine subscriptions. The Treasurer serves as a member of the Board of Directors and the Board’s Executive Committee. The Treasurer provides reports and records as requested by the Board of Directors and the Auditing Committee. Upon the treasurer’s retirement from office, all funds, books of accounts, and Rotary property shall be turned over to the new Treasurer or club President. 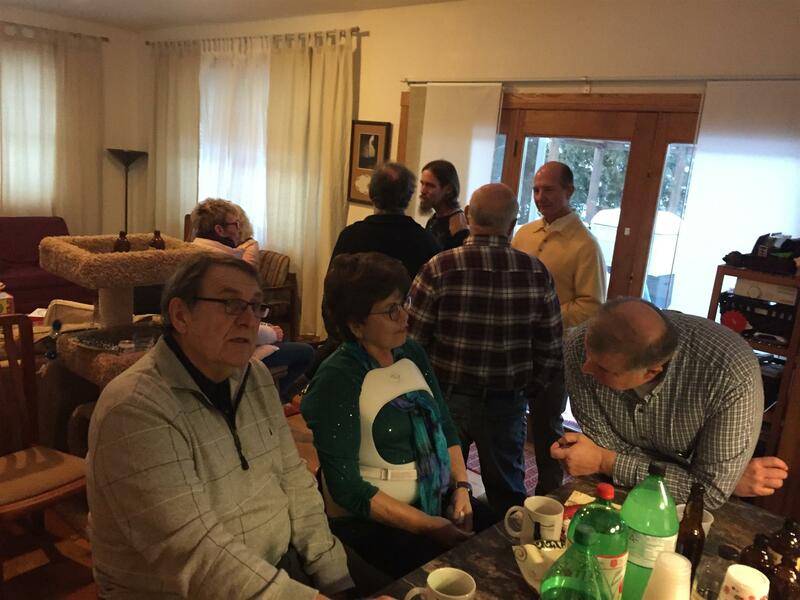 Section 1 – Annual meeting. An annual meeting of this club shall be in the month of August each year, at which time the election of offices and Directors to serve for the ensuing year shall take place. Section 2 – Club Meetings. The regular weekly meetings of this club shall be held on Thursday at 6:45 am. Cancellation or changes shall be given to all members of the club by phone or e-mail, or by announcement at two previous meetings. All members excepting an honorary member or excused member in good standing in this club, on the day of the regular meeting, must be counted as present or absent. Section 3 – Quorum. One-half of the membership shall constitute a quorum at the annual and regular meetings of this club, and of the Board of Directors. Section 4 – Board of Directors Meetings. Regular meetings shall be held monthly at a time selected by the President, with input from the members of the Board of Directors. Special meetings of the Board of Directors shall be called by the President, whenever deemed necessary, or upon the request of two members of the Board of Directors, due notice having been given. Section 1 – Dues. The Board of Directors shall set the amount of membership dues each year, after being informed of the year’s RI and District 6250 dues. The business of this club shall be transacted by voice vote or email, with the exception of election of officers which shall be by ballot or email. If only one candidate is nominated, no vote is needed. Club committees are charged with carrying out the annual and long-range strategic goals of the club. The President-elect, President, and past-President should work together to ensure continuity of leadership and succession planning. When feasible, committee members should overlap from year to year to provide consistency. It is recommended that the committee chair, when appointed, has previous experience as a member of the committee and will serve no more than three consecutive terms. B. The President shall, subject to the recommendation of the committee chair and approval of the Board of Directors, also appoint such committees on particular phases of these committees (called subcommittees) as deemed necessary, or Ad Hoc Committee(s) such as relates to fundraisers or so forth. C. Where feasible, some continuity should be provided by appointing one or more committee members to a two-year term. Section 3 – Ex-Officio. The President shall be ex officio member of all committees, and, as such, shall have all the privileges of membership thereon. Section 4 – Committee Activities. Each committee shall transact such business as is delegated to it in the bylaws, policies, and such business as may be referred to it by the President or the Board of Directors. B.The President-elect or designee oversees and coordinates the work of membership recruitment and retention, including orientation. Section 6 – Community Service Committee. A.The chairman shall be responsible for all Community Service activities and shall supervise and coordinate the activities of all sub-committees appointed on particular Committee tasks. Section 7 – Vocational Service. A. The chairman shall be responsible for all Vocational Service activities and shall supervise and coordinate the activities of all sub-committees appointed on particular Committee tasks. Section 8 – New Generation. A. The chairman shall be responsible for all New Generation Service activities and shall supervise and coordinate the activities of all sub-committees appointed on particular Committee tasks. Section 9 – Duties of the Committees. A. Additional ad hoc committees may be appointed by the President as needed. B. Each committee shall transact its business as is delegated to it in these bylaws and such additional business as may be referred to it by the President or the Board of Directors. Except where special authority is given by the Board of Directors, such committees shall not take action until a report has been made and approved by the Board of Directors. C. Each Committee Chair shall be responsible for regular meetings and activities of the committee, shall supervise and coordinate the work of the committee, and shall report to the Board of Directors and membership at club assemblies on all committee activities. D. The duties of all committees shall be established and reviewed by the President for his or her year. In declaring the duties of each, the President shall reference appropriate RI materials and the Avenues of Service when developing plans for the year. F. Each committee shall have clearly defined goals and action plans established for the beginning of each year for implementation during the course of the year. Each committee chair is responsible to work with the President to create and submit the committee goals by the end of July to the club membership. Section 1 – Budget. Prior to the beginning of each fiscal year, the Board of Directors shall prepare a budget of estimated income and expenditures for the year, which shall stand as the limit of expenditure unless otherwise ordered by action of the Board of Directors. Section 2 – Bank. The Treasurer shall deposit all club funds in a bank named/ approved by the Board of Directors. Section 3 – Invoices. The Treasurer or other authorized officer shall pay all club bills, as authorized by the Board of Directors. Section 4 – Review of Books. A thorough review of all financial transactions shall be made once each year before August 30 by three club members appointed by the club President. Section 5 – Fiscal Year.The fiscal year of this club shall extend from July 1 to June 30. Section 6 – Dues. The payment of per capita dues and RI official magazine subscriptions shall be made on July 1 and January 1 of each year on the basis of membership of the club on those dates. Section 1 – Sponsor. The name of a prospective member, proposed by an active member of the club, shall be submitted to the President-Elect. A transferring or former member of another club may be proposed to active membership by the former club. Section 2 – Application. The prospective member shall be informed of the purposes of Rotary, and of the privileges and responsibilities of membership, and is encouraged to attend three club meetings to ascertain his/her fit with the club, at which point the prospective member shall be asked to sign the application form and permit his or her name to be brought to the membership. Section 3 – Objections. If there is no written objection to the applicant’s membership from any member of the Menomonie Sunrise Rotary Club within 7 days of announcement to the club, the applicant shall be considered to be elected to membership. If any such objection has been filed with the Board of Directors, the Board shall vote on this matter at its next meeting. If the application is approved despite the objection, the proposed member shall be considered to be elected to membership. Section 4 – New Member. Following the election, the President-elect shall arrange for the new member’s induction, membership card, and new member Rotary orientation. Section 5 – Orientation. Orientation will follow procedure(s) as established by Policy. The club shall not consider any resolution or motion to commit the club on any matter until the Board of Directors has considered it. Such resolutions or motions, if offered at a club meeting, shall be referred to the Board of Directors. Section 1 – Suggested order of meetings. These bylaws may be amended at any regular meeting, a quorum being present, by a two-thirds vote of all members present, provided that notice of such proposed amendment shall have been provided to each member at least two days (At Least one week? ) before such meeting. No amendment or addition to these bylaws can be made which is not in harmony with the standard Rotary club constitution and with the constitution and bylaws of Rotary International. These by-laws were approved by the Board of Directors on June 10, 2014 and the club membership at the regular club meeting held June 19, 2014. 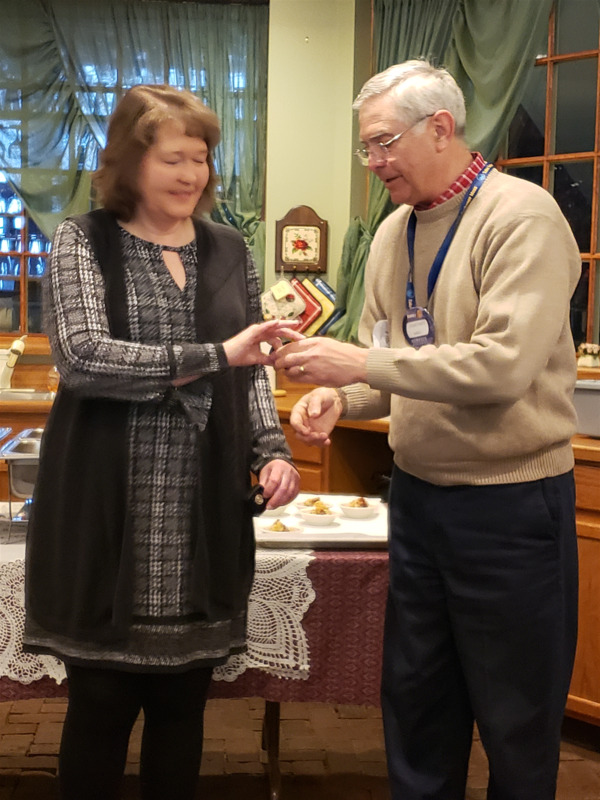 Dunn County Historical Society awarded the Menomonie Sunrise Rotary Club "History Project of the Year" on Saturday November 4th. 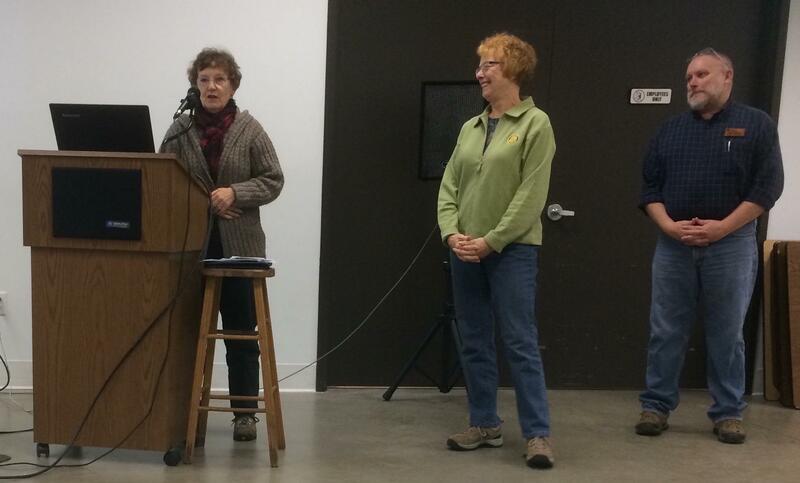 Representing Sunrise Rotary, Kaye Krave Past President and Barb Anderson, Menomonie Noon Rotary. Saturday, a dreary gray day in Menomonie, a group of about 10 Sunrise Rotarians came to Winterhaven Homeless Shelter. Buckets, brooms and mops in hand they split up to clean all three levels of the shelter! will stay warm. Thanks to all, a JOB WELL DONE Rotarians, Service above Self! See ya next year, same time. Join us for a Veterans' Relief Fund Benefit Concert sponsored by the local Menomonie Veteran's Organization. It is being held on November 11, Veterans Day and the profits will benefit the relief fund that aids veterans that need emergency funds for what life throws at them. You can expect some great music by the 'White Side Walls Rock and Roll Review', a dance floor for those inclined, and some spirits, in an excellent atmosphere at the 'Stout Ale House' in North Menomonie, WI. Tickets are a $25.00 ordered in advance and $30.00 at the door. Tickets go on sale on October 8th. 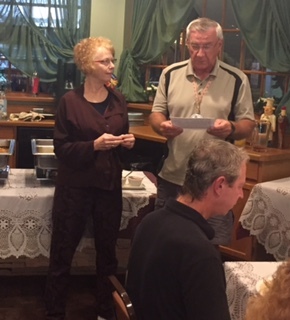 as President of the Menomonie Sunrise Rotary Club. Great Job Kaye!!!! Mark your calendars for Saturday, April 22nd! The 22nd RotaryFest will be held at VisionQuest, Menomonie from 6 pm - 11:30 pm. Our newest member Josh Gibson! He brings a lot of new ideas and energy to our Sunrise Rotary family. We are excited to have you join us in service and get to know you better! Fun "right brain" exercise today at Sunrise. 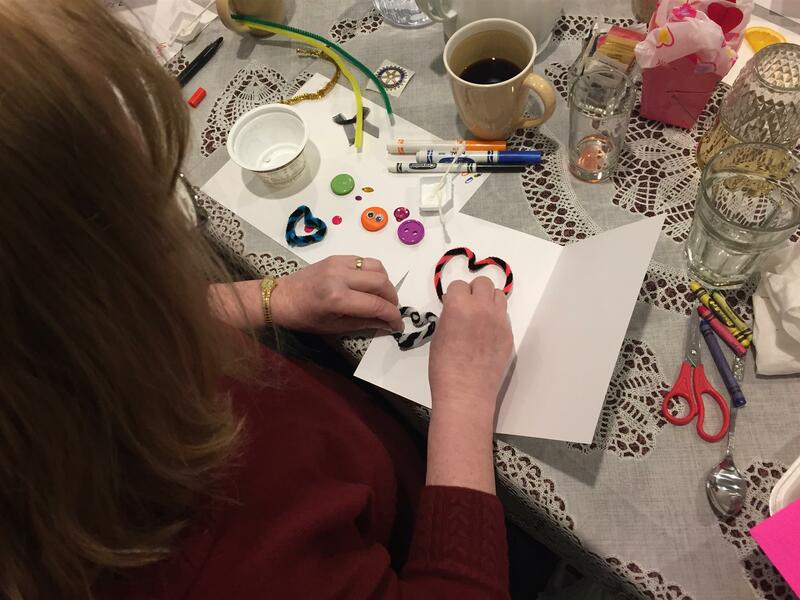 Julia Woodford helped us make "Get Well or Better" cards for our members that are recovering from stroke and surgery. We hopefully will add some joy to those members who are not yet able to get back to Rotary! Kids Against Hunger (KAH) had a successful packing event at Regis High School January 31st. 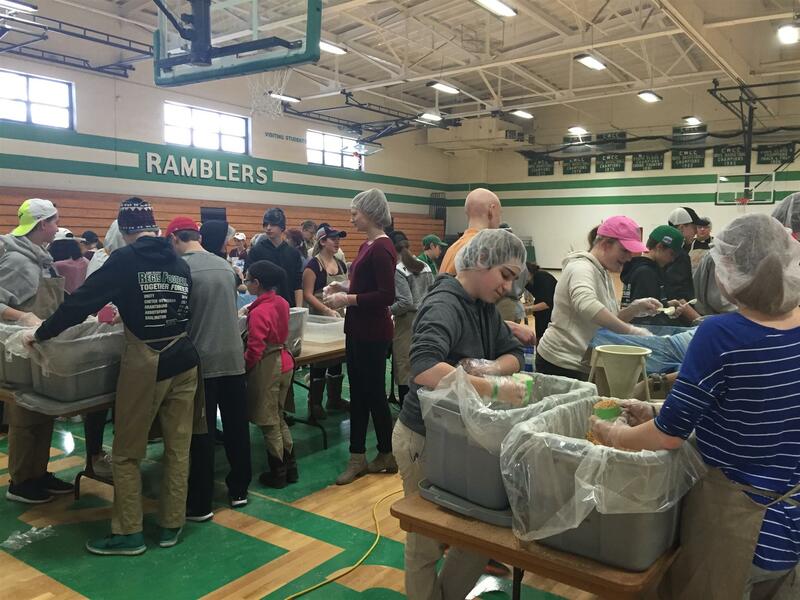 Regis students packed 30,000 meals from 8am-2:30 pm and had a great time together in the process. Menomonie and Chippewa Valley After Hours clubs are hosting an event for KAH on February 22, 2017 at the Stout Ale House. We are hoping to recruit teams to pack meals that day, but also to encourage them to join one of our Rotary Clubs. Our members need to ask themselves who would make good Rotary members and sign them up for the packing event! It is a great way to introduce friends and co-workers to the great things Rotary does for our community and world. A warm afternoon on a cold Saturday. Sunrise gathers to warm friendship and get to know our new members! We are excited to have Jeremy Untz and Robert Rosendahl as new Sunrise Rotary Members. Give them a warm Rotary welcome in 2017! Check your calendar for a great weekend in May with our District 6250 Rotarians. La Crosse is always a great place to visit with Rotary friends and enjoy the Mississippi River. District Governor Dean McHugh will be our host. Information and sign up on the District 6250 website. Plan to come and have some fun! 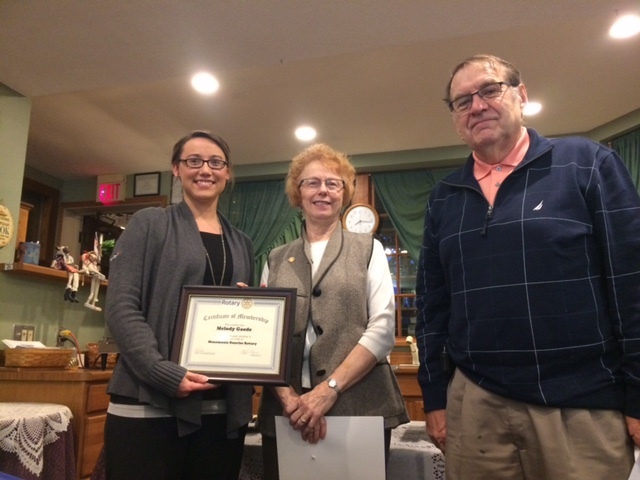 Melody Gaede our newest member of Sunrise Rotary! 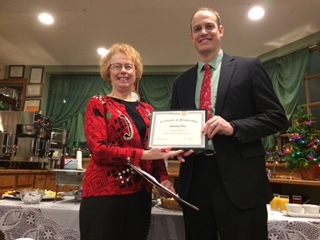 Rotary International has recognized a member of the Menomonie Sunrise Rotary Club for outstanding service carried out through all five Rotary "Avenues of Service": Club, Community, International, Vocational, and Youth Services. 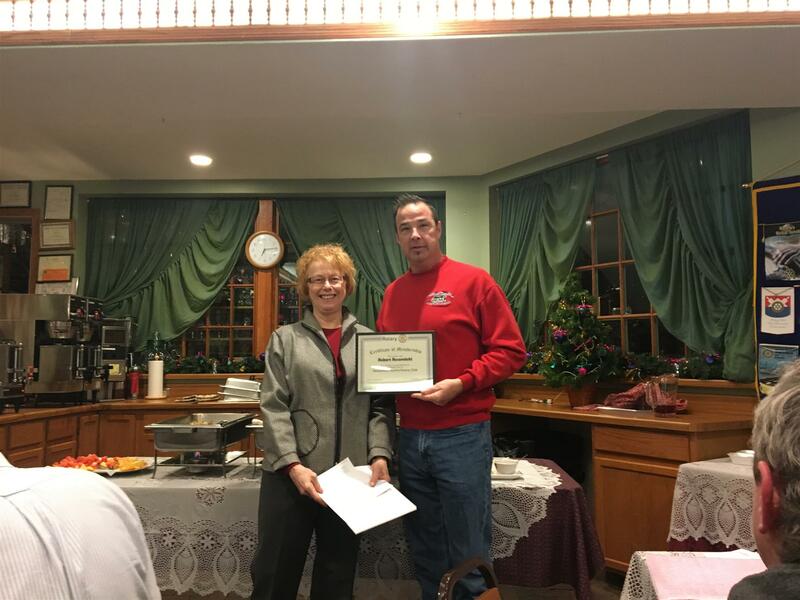 Gus Myran was presented the "Avenues of Service Citation" on November 17th by President Kaye Krave and District Governor Assistant Karen Herbert. The Citation commends the service carried out by an individual Rotarian in the club, thereby reinforcing the importance which Rotary places on personal involvement of each club member in Rotary service activities. 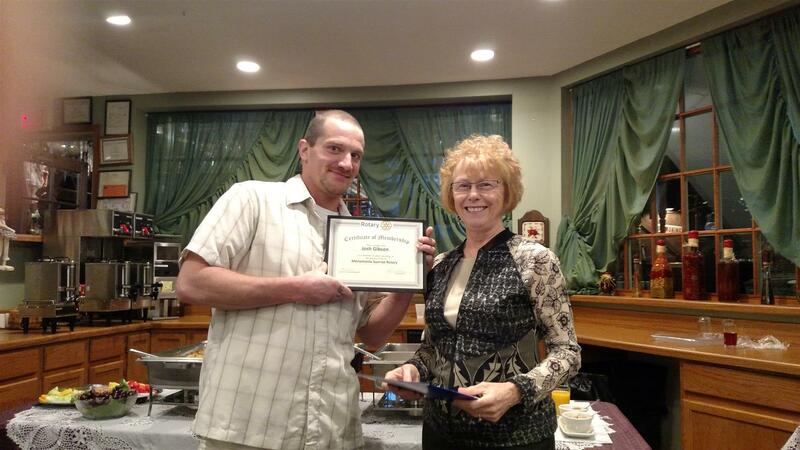 We are proud to recognize Gus for the amazing work he has done for our club, Rotary International and our community. Only a few members cover the requirements of personal involvement and service needed under each of the "Avenues" in their Rotary career. Gus Myran exemplifies Service Above Self, and the best attributes of Rotary. Thank you Gus! 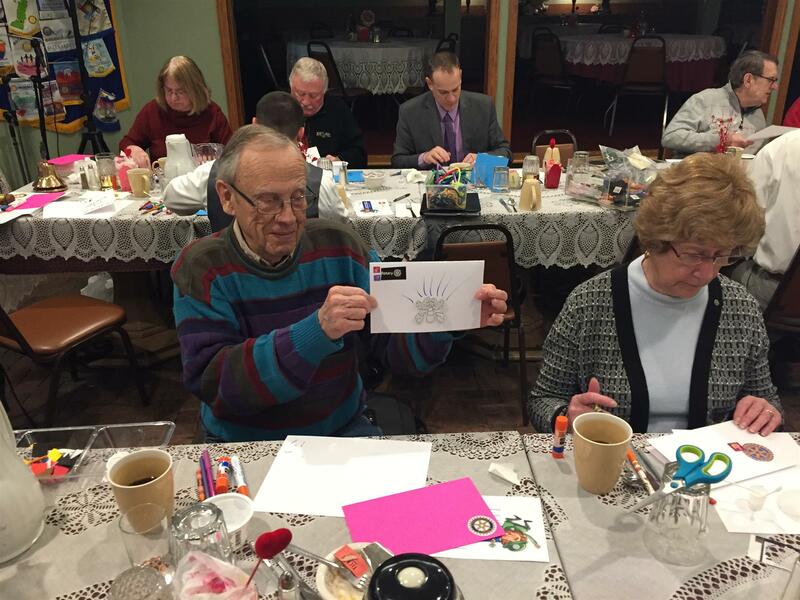 The Menomonie Sunrise Rotary Club was chartered in 1994. We are a 501c4 organization that looks for ways to do good in the community and world we live in. We currently have 28 members and are very active in the community in a variety of ways. We worked on major projects such as a night vision system for the Fire Department such that they can see if someone is in a burning building before they enter. The Sunrise Rotary Club also outfitted the Dunn County Sheriffs' cars with the first AEDs (defibulators) carried in the patrol units. 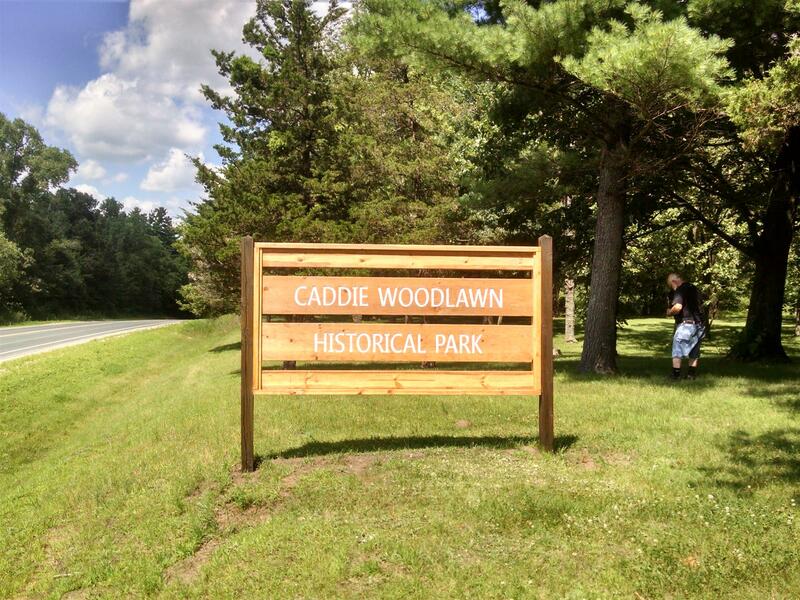 We have refurbished the Caddie Woodlawn site south of Menomonie with new siding and many volunteer hours, and lots of paint. Our accomplishments continue to grow as we are now a full partner with the Noon Rotary Club of Menomonie in a Kids Against Hunger campaign. The Menomonie Noon Club and the Sunrise Rotary Clubs along with the Chippewa Falls After Hours club are packaged 126,000 meals in July that will go to the food shelves in the region. The event happened at the Kalahari using 16 packaging lines, 600 people participated. The event was sponsored by AgStar. Should your company or organization want to sponsor a packing event, contact any of the three clubs and we will see that it happens. Work day at the Homeless Shelter—Sept 6th, 2014---8 Rotarians helped with the clean-up of the new facility. Masquerade Ball on November 1st, Larry, Vickie, Millie, Steve M and others. Tour of the Robotic Milking parlor, very good and interesting outreach.October 2014. Thanks Rod. 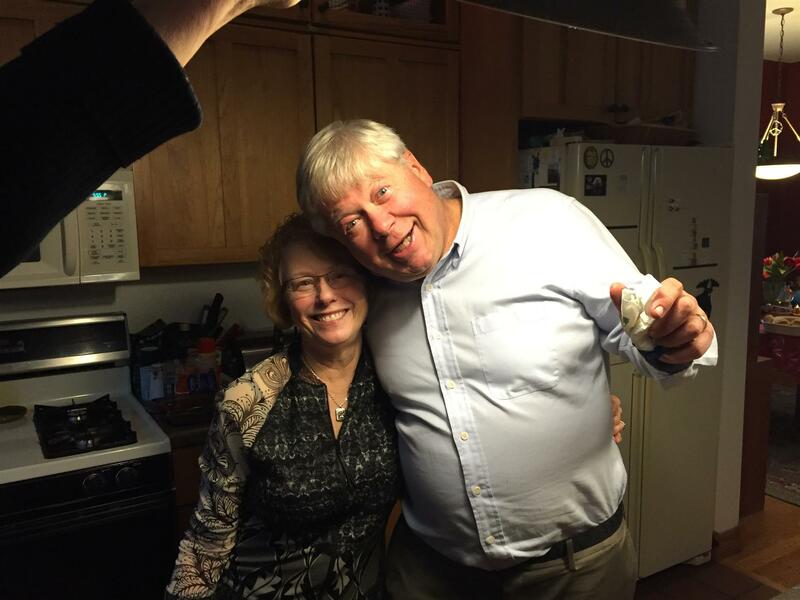 Boat ride on the St. Croix, thanks to all Dave and Diane for the planning and execution, October 2014. Sunrise and Noon Club members participated in a packing event on November 12th at Stepping Stones, we will continue to feed the hungry in the county and the world.KAH is a great organization that we support. Cardinal Glass tour, our second business tour for this year, on November 13th.Thanks to Mike Shaide for arranging this. 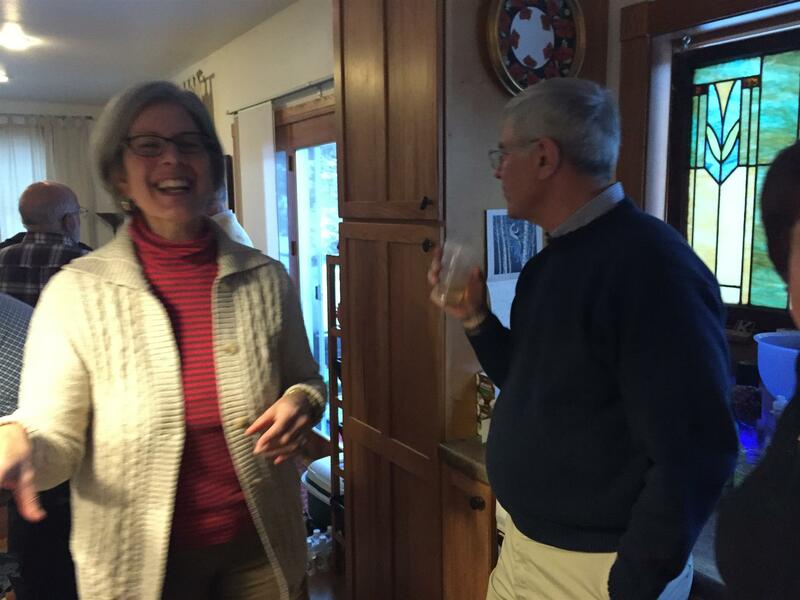 Donated $1,000 to the Bolivia Water Project with the Chippewa Falls Club. Twenty two books to the Menomonie Public Library honoring speakers. Sunrise and Noon Club members participated in a packing event on November 12th at Stepping Stones; we will continue to feed the hungry in the county and the world.KAH is a great organization that we support.100,000 meals in the last 12 months of which 60,000 are heading for Nepal as relief aid. Thirty four books donated to the Menomonie Public Library honoring our Rotary club speakers. Walmart Distribution Center tour in January of 2015, our third tour of a business for the year. Scheduled to tour Vets Plus on June 11th, the fourth business tour of the year. Thanks Rod for arranging this. Applied for and received a $5,000 grant for Winter Haven from the District 6250 Rotary Grant Program. 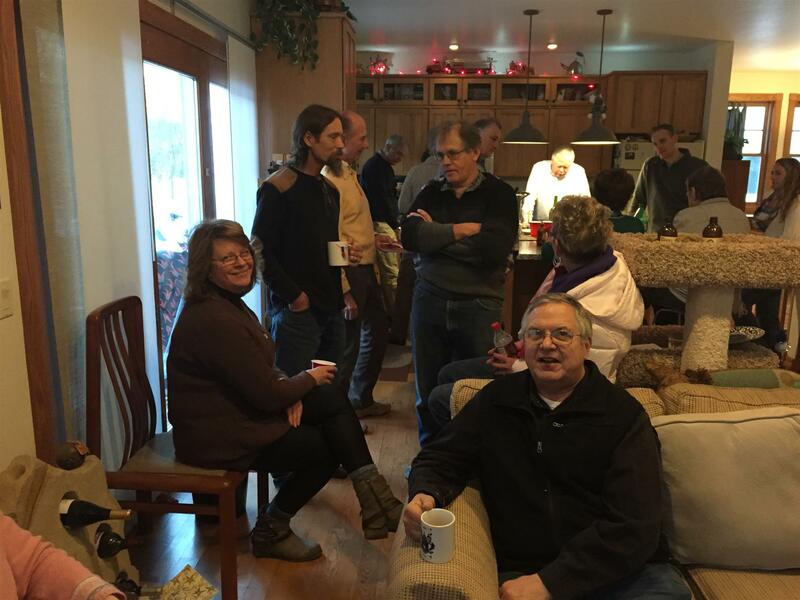 Club social in Menomonie in February 19th of 2015 with the noon club attending—great turnout. Signed an agreement for the Sadistic Century along with the noon club to sponsor a bike ride in Menomonie this summer. Sold $13,500 worth of Kwik Trip cards to members, making $1,382 for the Sunrise Club. Generated $15,000 in profit from the 2015 Rotary Festival.285 in attendance at the 20th annual event. Completed the ditch clean-up project on April 25th with a joint Noon Club and Sunrise Club work day. Painted benches at the Park for the Ludington Guard Band seating, joint operation with the noon club. Donated money to the HS Seniors Appreciation Night ($100). Donated $10,590 to the Winter Haven project. Donated $2,000 to the Dr. Walker Africa project, for pregnant women. Donated $4,000 to the Bridge to Hope for new equipment and beds. Donated $100 Fire Departments student education project in Menomonie. Donated money to the Polio Plus program at the district level. Donated $2,570 to the Rotary Foundation Annual Projects fund.This put us at $68,000 for the first 20 years of existence. We hit 125% of our projected goal for 2014-2015. 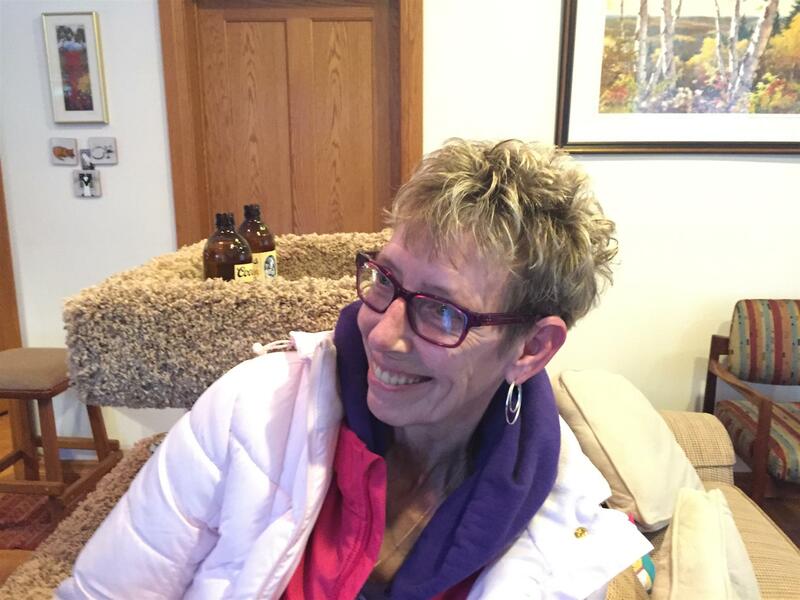 Donated $2,000 to the Larry Jess Foundation. Served pancakes (10 members) at the Airfest and Autorama in Menomonie. All totaled we have donated $24,360 ($5,000 district money) to local causes. Service above self! The focus of a Rotarian. Join us, and share in making the world a better place. By clicking on the calendar button you can see who the speaker is for the next meeting, or meetings as well if there are any special meetings that you would like to attend. Again, just go to the top of the home page, and click on calendar. Board meetings as well as other scheduled meeting are posted. If there are details to the meeting as far as location, just click on the date you are interested and the details will be displayed.